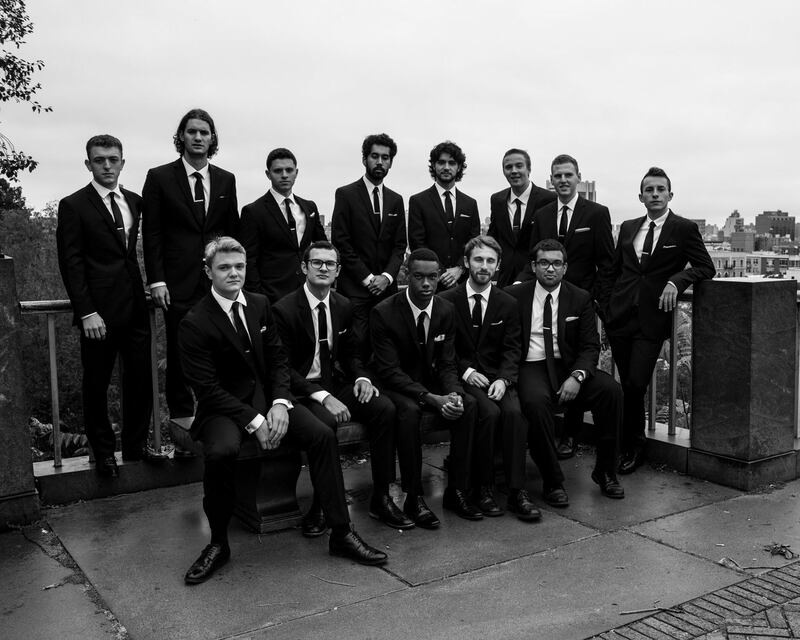 The only thing sharper than Columbia SHARP's suits is their voices. I'm always amazed by the idea of perspective when it comes to covering songs in college a cappella. How two groups can cover the same song but the outcome is worlds apart. The same thought comes to mind when listening to this mashup of "Coffee x Pillowtalk" by Columbia University's SHARP. On one hand, both songs have a somewhat limited, but driving beat in the original tune, which adds a certain electrifying characteristic to them. But SHARP has transformed the two songs into something truly amazing. The beat has been minimized to more of a chill and relaxing feel. The arrangement has a more traditional choral feel to it, which surprisingly amps up the intenseness of this somewhat balladesque rendition. And the two leads are incredible as they sell every moment of this performance that's bound to tap directly into your soul. We're sure you'll enjoy this one.